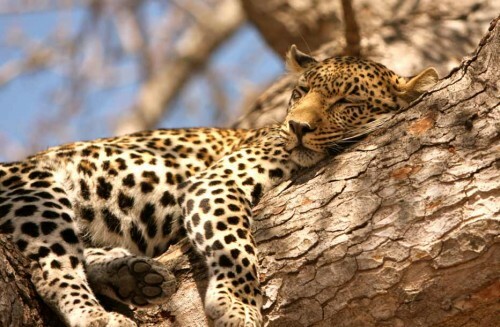 Cheap flights to South Africa: Prague-Johannesburg for €476! KLM in cooperation with CSA and Air France now offer cheap flights to Republic of South Africa. 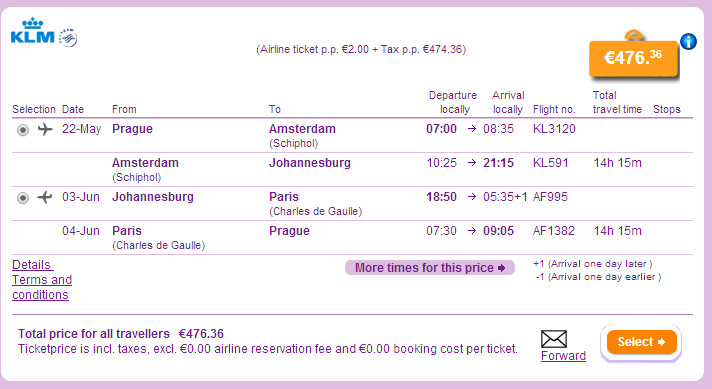 Return flights from Prague to Johannesburg are available for only €476! Travel dates are from May until November with exception of Summer holidays. 23 kg luggage is included and travel times are perfect with whole trip taking around 14 hours. You have to book your tickets before 12th April. Book via Budgetair for the best price, you will pay over €500 on KLM’s website. Most citizens of European countries DO NOT need any visa to enter South Africa for less than 90 days. Only requirement is valid passport for half a year after your travel. In Johannesburg you can find both inexpensive hostels and luxurious hotels. To find one that suits the best your needs check accommodation options. Use our search engine to compare all the booking sites at once and get the best deal on the market. South Africa is one of the few African countries where the roads are well maintained and you don’t require a 4WD vehicle. So take advantage of it, rent a car and discover its hidden gems. « Super cheap flights to Canary Islands: Tenerife from Berlin for €69!